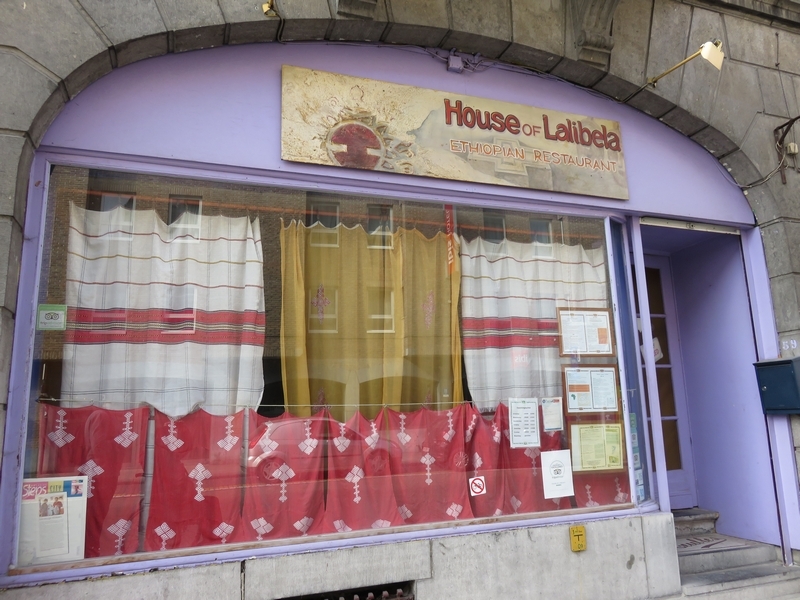 Restaurant review #115 – House of Lalibela is an Ethiopian restaurant in the city center of Louvain. 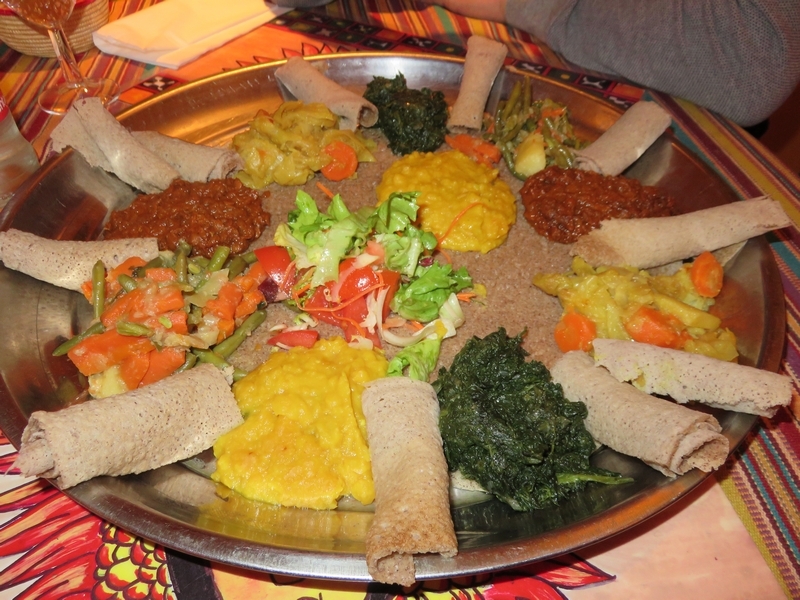 I had seen House of Lalibela mentioned several times on social media, as a place with vegan options. Over the years, we have passed the restaurant several times. But as that was mostly during the day, and House of Lalibela is only open for dinner, we did not have the chance to go dining here yet. 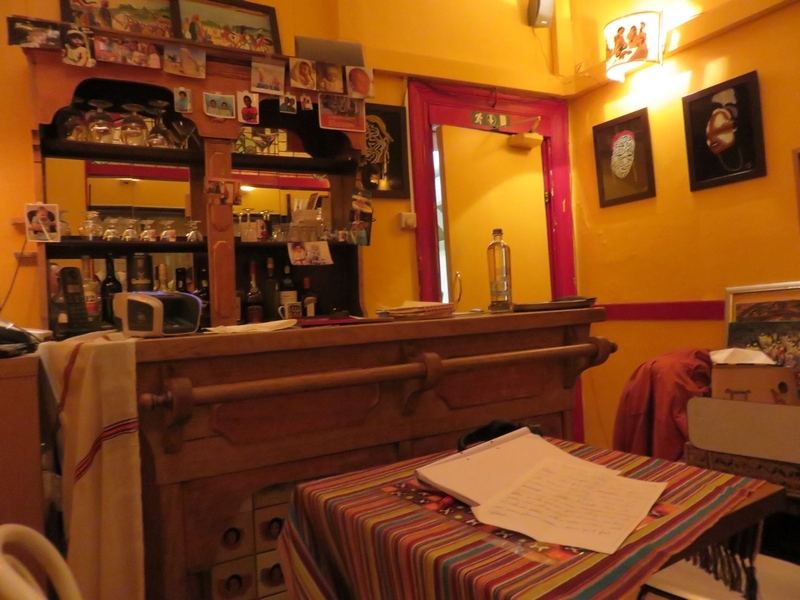 A couple of weeks ago, we stayed overnight in Louvain, so this was a perfect opportunity to go to House of Lalibela for dinner! I telephoned for a reservation, but did not get a response. Shortly after my call, I got a call back from House of Lalibela, so I was able to make the reservation for that same evening. Vegan was said to be no problem. We arrived shortly after the restaurant opened doors, and were welcomed by the lady of the house. She pointed out the vegan options on the menu. 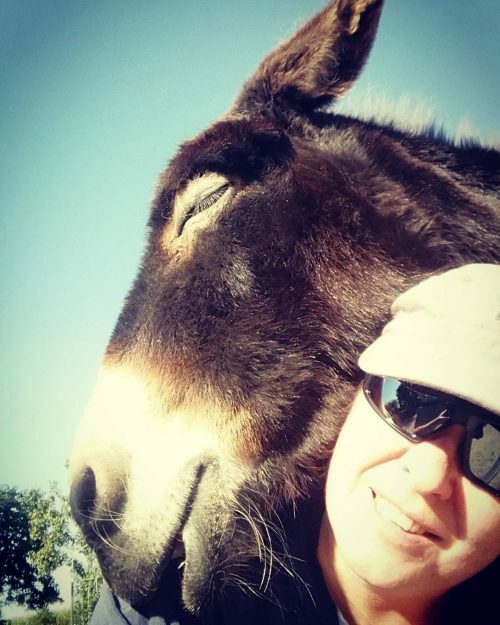 They are labelled as vegetarian, but she assured us that they were all vegan and that she was knowledgeable about what vegan means and explained they do not use dairy because of religious reasons. 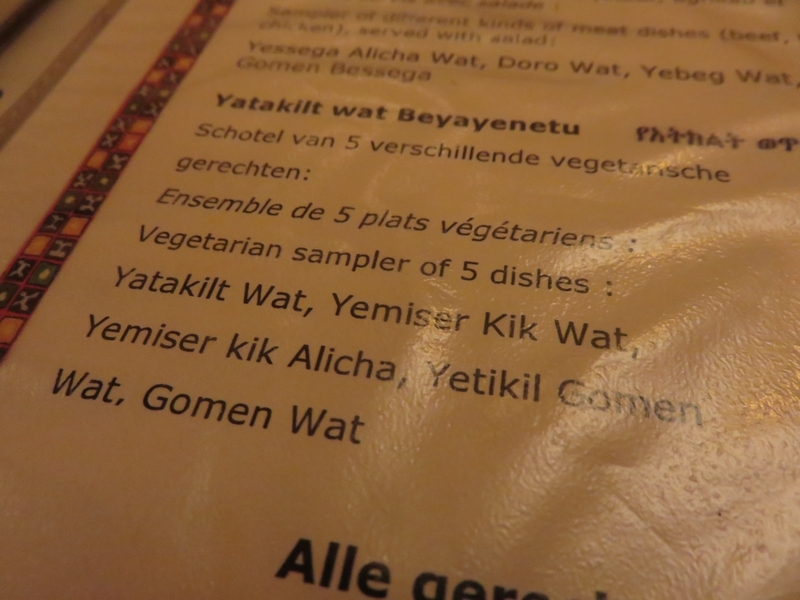 We ordered a mixed dish: Yatakilt Wat Beyayenetu, which is a dish with five different preparations. This was 40 euro for a large plate (to share with two). For drinks we had a bottle of water (3€). Food came swiftly. The food was placed on top of a large pancake. There was spinach, two sorts of lentils, carrots and cabbage, haricots, and several smaller rolls of pancake to scoop up the food. A colourful combination! The plate was served without any knives and forkes, as it is apparently tradition to eat the food with one’s hands (use pieces of the pancake to scoop up bits of the food). I didn’t manage very well at this, so asked for a fork anyway 😉 which was no problem. The food was good, but a bit underwhelming. 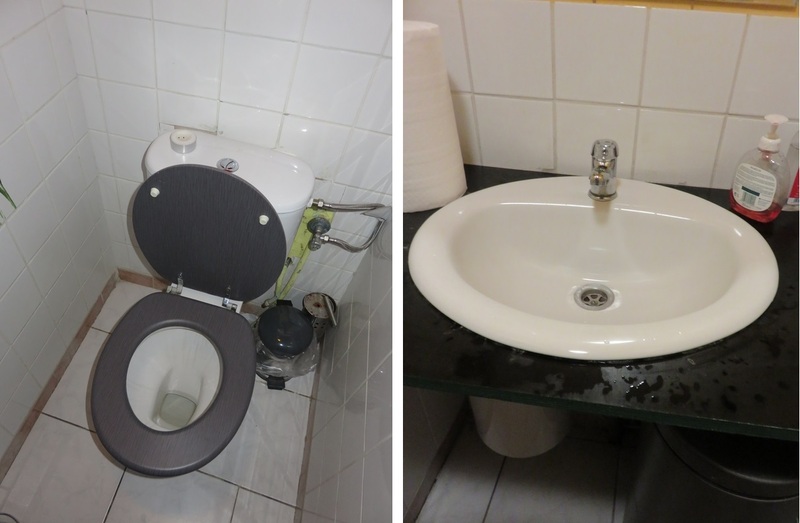 Judging by the colours (and the many positive reviews we have seen online! ), we expected a rich diversity of flavours and spices, but all in all it tasted a bit flat and monotone (one dish was spicy, not that we would want all of them to be spicy, but a bit more flavouring to distinguish between them would have been nice). Also culinary wise, we thought 40 euro was overpriced (20€ per person for the main dish). Service was very friendly and welcoming. House of Lalibela is not a really a big place, and the interior is colourful, but also a bit disorderly. 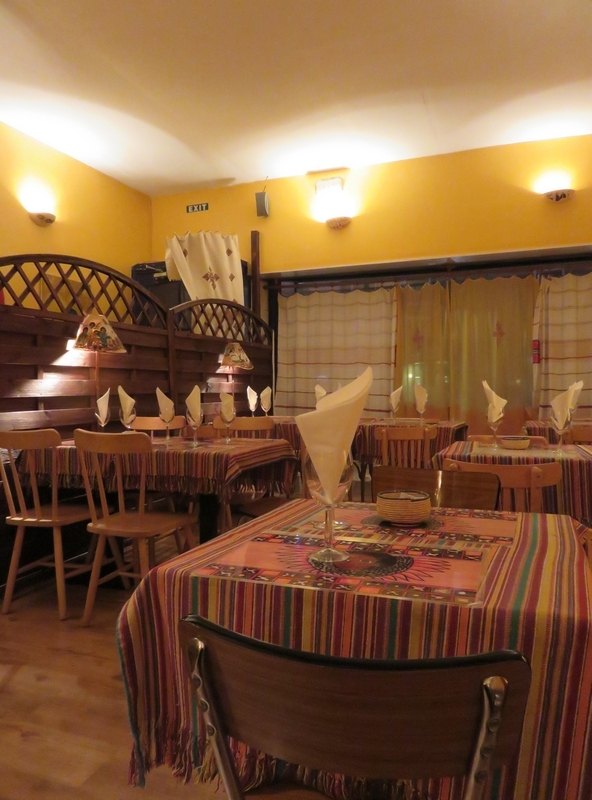 When we were there, the restaurant soon filled, so it is definitely advised to make a reservation if you want to check it out! We have an Ethiopian restaurant here that supposedly has plenty of vegan options, but we have yet to try it. After reading your post, I’m thinking we’ll give it a go. 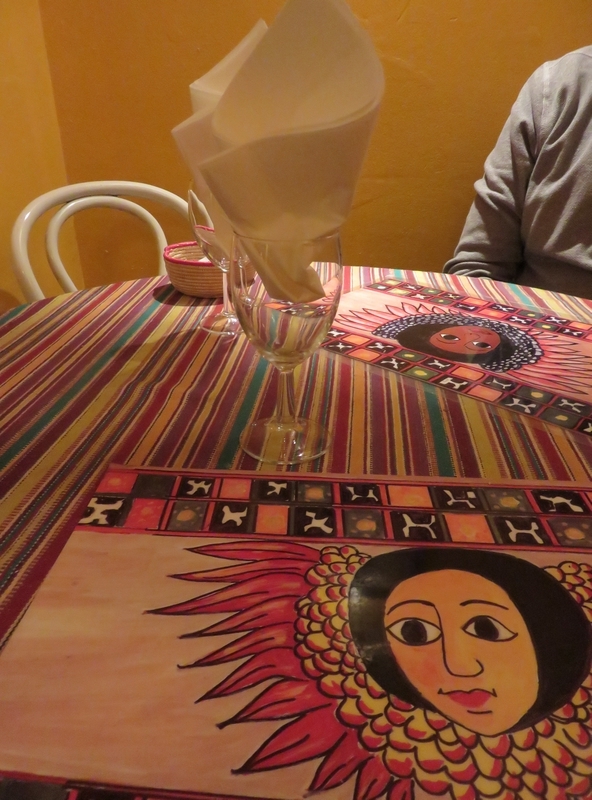 It was the first time trying Ethiopian food for us too. Definitely want to try some more. I heard there are several good ones in Brussels, will try to check up on them too!